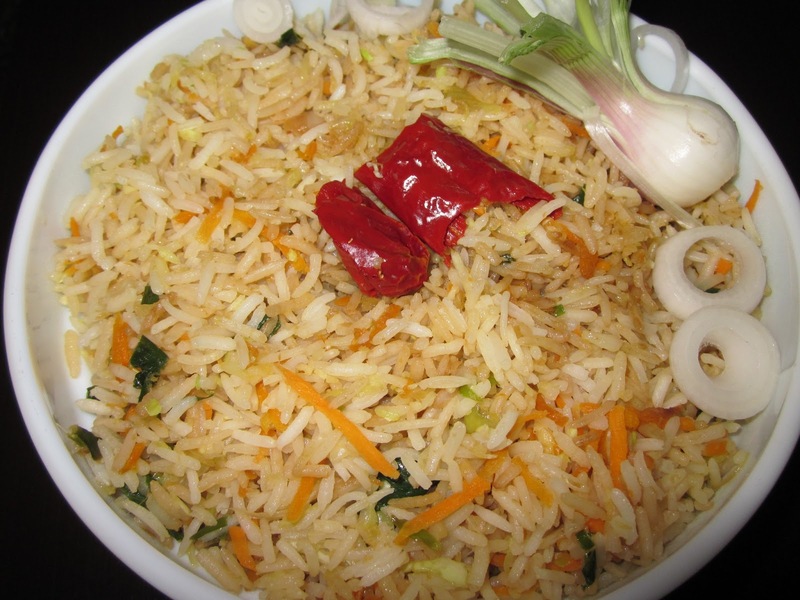 The Tummy Tales: Sichuan Fried Rice! If you have been following my blog, you would have realized by now that after Indian, my favorite cuisine is Chinese. I can go on and on raving about the simplicity and versatility of Chinese food, but one blog would not be enough.. lol. Here is another gem from the vast treasury of Chinese one –pot wonders, Sichuan Fried Rice. Once again the ‘go-to’ meal for those times when you want to have complete meal, but do not have the energy or bandwidth to go the mile. The best thing is that it gets done in a jiffy. I have tried the vegetarian version, you could use chicken, bacon or egg if you wish. I served it with the Singapore Black Pepper Prawns and a very special ingredient called love. Try it, I’m sure the taste will multiply manifold. In a wok or a deep bottomed pan, heat oil till just before smoking point. Add the ginger, garlic and let it cook for a while. Now, add the red chillies and give it a mix. Add some of the rice, and 1 tablespoon soya sauce and stir well. Repeat the same with the other batch of rice and the remaining soya sauce, salt and keep stirring. 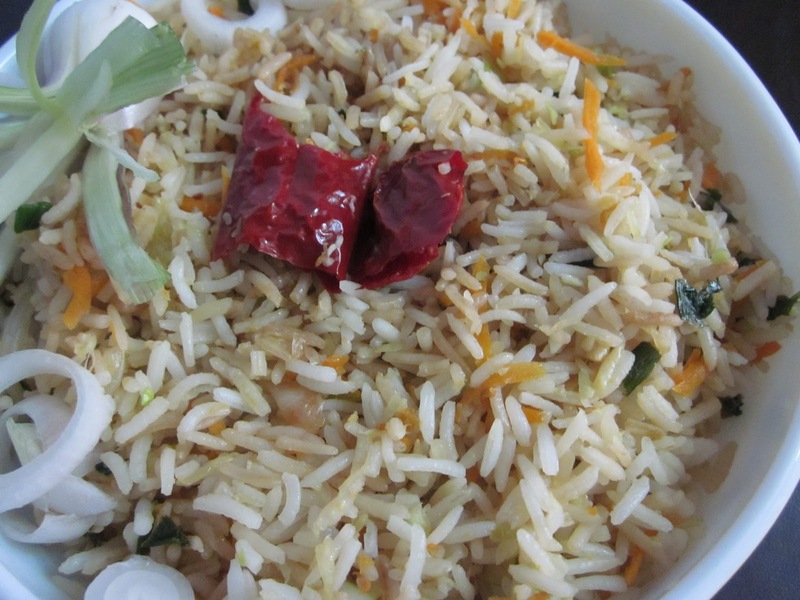 Ensure the vegetables and sauce have mixed well with the rice.